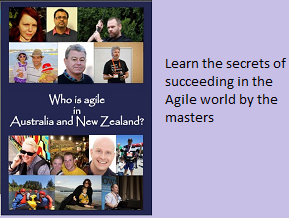 Agile World: Scrum Practices waste of time ? Scrum Practices waste of time ? Every day in some part of the world, I can definitely feel that one of the software projects is getting transitioned to Agile methodology. Many of the developers working on these new Agile/Scrum projects feel overwhelmed with the new and different practices. “Oh, these practices are a waste of time, we can deliver more user stories if we are allowed to sit and code”. Agree, they can deliver more user stories, but can they guarantee a superior quality code, a valuable product meeting customer’s requirement ? Let us see why this is not a smart idea to skip any of these practices. Scrum is all about Inspect and Adapt. Every now and then, one needs to stop, take a deep breathe, inspect the current set of practices, analyse them well. If one finds areas of improvement, make a list and strive to adapt the good practices. Skipping these practices might seem to gain some time, but indirectly it causes more harm than good. In my opinion, if four hours a week[spending on different practices] make any difference, you're cutting things too close. You're likely to make at least one four hour mistake by not planning and tracking. Summary: Unless you really know what you are doing, don’t skip any of the Scrum (or any other Agile methods) practices. Especially if one is new to Agile, then just follow the book until one gains maturity , experience and good understanding.